Water resource management – The Drakenstein Municipality, with a total population of 224, 240, faced an annual growth in water demand of 3.5% and non-revenue water of 33%. Approximately 10% of its water was derived from its own sources with the remaining 90% purchased from the City of Cape Town. The high level of non-revenue water provided a major opportunity to decrease the municipality’s water bill and at the same time reduce wastage. 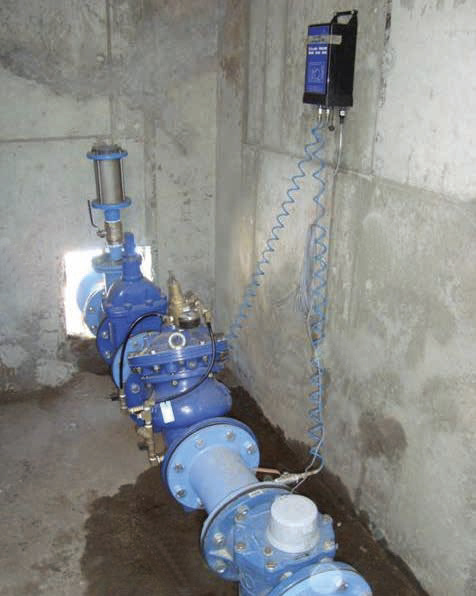 Interventions were wide-ranging, with the introduction of advanced pressure management throughout the system providing the backbone to a comprehensive water demand management programme. Over a period of approximately 12 years, Drakenstein Municipality lowered the non-revenue water to under 11% and currently ranks amongst the best municipalities in South Africa with regards to water use efficiency.